The Doublewide Series eliminates the need to zip two bags together, doing away with the gap between hoods and the chill of outside air when someone gets up at 2AM to use the loo. The Dream Island is our most deluxe option in the doublewide series, coming with all the extra space you imagined necessary to start doubling up your sleeping bag efforts. 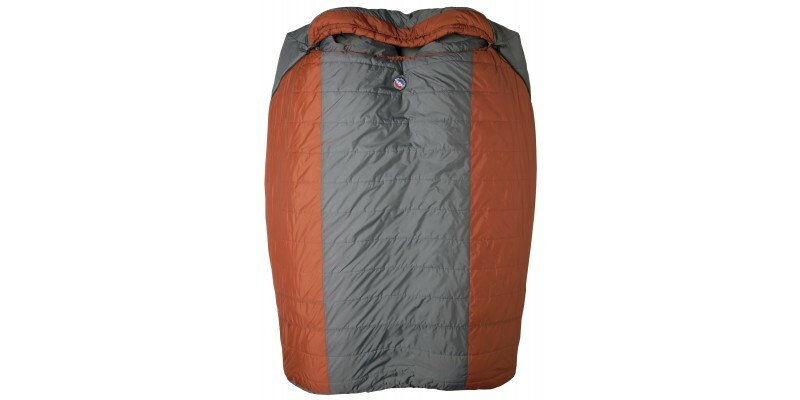 This Big Agnes System bag requires an ultra-wide and long 50”x78” rectangular pad or any two 25”x78” rectangular pads. Pad Size 50" x 78"
Stuff Sack Size XXL-12" x 23"
Compressed Bag Size 12" x 14"